Lions, tigers, & bears, oh my! Okay, more like cows, goats, & pigs, but welcome to this beautiful 30-acre property which boasts a newer construction 4BR/3BA home w/ a 2-car garage. 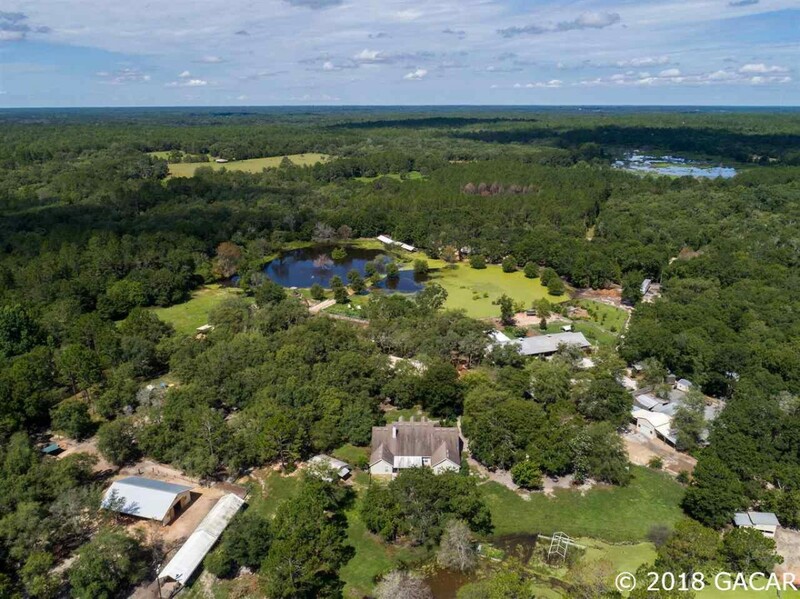 Property also has a large pavillion with a kitchen, 2 custom built barns, several outbuildings, a detached apartment for guests, and 3 bodies of water. In addition to the 2-car attached garage, there's a 3-opening enclosed carport with electricity. Simply said, this property has it ALL. Property is currently used as a sanctuary for over 300 rescued animals (pigs, cows, goats & more). Complete the form below and one of our agents will contact you. Or, if you'd rather, you can reach us via phone at 352-577-9104. Complete the form below and we'll set up a showing. Or, if you'd rather, you can reach us via phone at 352-577-9104. Complete the form below and we'll send you more info about . Or, if you'd rather, you can reach us via phone at 352-577-9104.